Our Environment Strategy, published in December 2015, provides Scottish Canals with a blueprint for responding to emerging environmental challenges while also identifying environmentally friendly ways to minimise costs. A crucial part of this is energy and carbon management, which was an area that we identified we could do more work on. Thinking about all the possible options was quite daunting, which is where the Fit for the Future Network came in. I realised through the Network that one way to establish a plan for renewables and give credibility to the strategy was to get experts in different fields to help out. I had already read about what the National Trust were doing in terms of renewables and efficiency work, and thought it sounded fantastic. After a chat with the Network manager, a visit to Wales was organised to see projects on the ground and get advice from the people involved. We had an extremely valuable visit and saw solar photovoltaic arrays, run-of river hydropower generation schemes, a wood-pellet biomass boiler, efficiency improvements in heritage buildings, and ground, air and marine source heat pumps. The can-do attitude and infectious enthusiasm shown by the staff in Wales was very inspiring and made me realise the art of the possible. I learnt that yes, we can do things, particularly in historic environments where the majority of our estate has statutory protection. 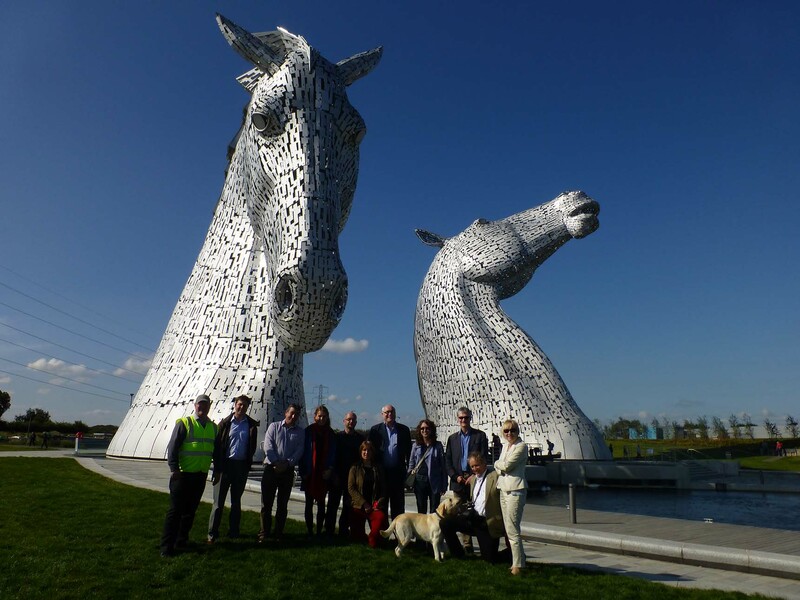 This visit was followed up by a meeting at The Falkirk Wheel in August 2015, which was attended by a few members of the Network. the National Trust, National Trust for Scotland, Historic Environment Scotland, the Ullapool Harbour Trust, Transition Linlithgow and community energy groups. In this we shared solutions and experience, and I found other people could help with aspects of the Environment Strategy. The links made meant I didn’t have to work in isolation (we only have a small environmental team in our organisation) and gave me confidence when preparing the strategy. Including expert advice from other organisations gave the strategy credibility. Network members influenced four of the ten themes covered: energy and carbon management, sustainable procurement, building and assets management and sustainable places, and environmental awareness and participation. The Strategy would have gone ahead anyway, but being part of the Network and linking with other members helped focus my mind and hone in on what could be done. I was also greatly encouraged by the open mindedness and enthusiasm shown by those I spoke to. With our Strategy in place, which sets out how we’ll deliver effective sustainable benefits for customers, the canal network and the wider environment, we’ll be more fit for the future. It ensures we have a clear route to sustainable environmental management.